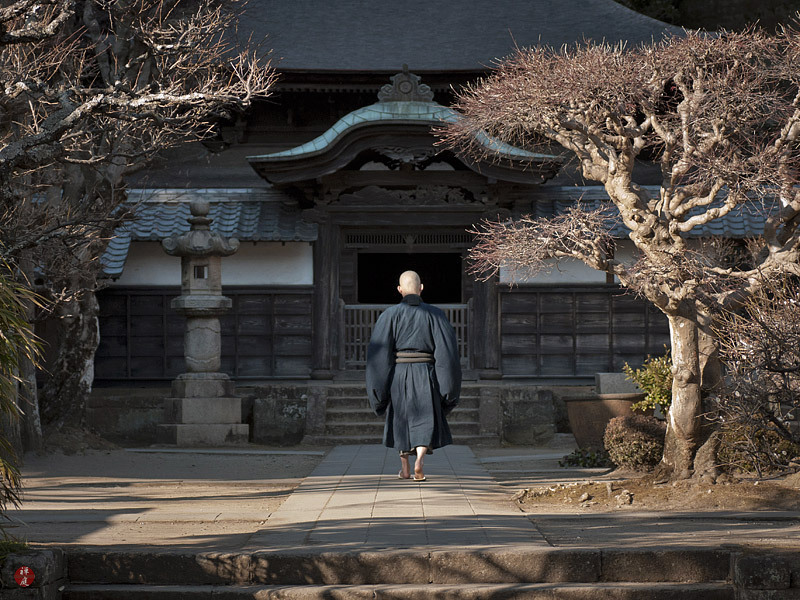 In front of the Shari-den (the hall of Buddha's bone), a solitary trainee monk was walking about at quick pace shouting short passages of a sutra at a brief interval for his practice of Zen meditation. His deep yells were heard far away like distant thunders in the freezing air of this coldest season. That moment felt like an eternity. This piece is a triumph of sunlight. Thank you again for your warm comment and support to my photolog. The soft sepia light of the early declining sun, which is special to such midwinter afternoon, illuminated this lone trainee monk impressively. The same pale sepia sunlight also brightened up the dead flowers of Ajisai as if to try to revive the lost beauty of these dried flowers.